The large windows on the Norman Piette site provide a perfect canvas for some high impact advertising. 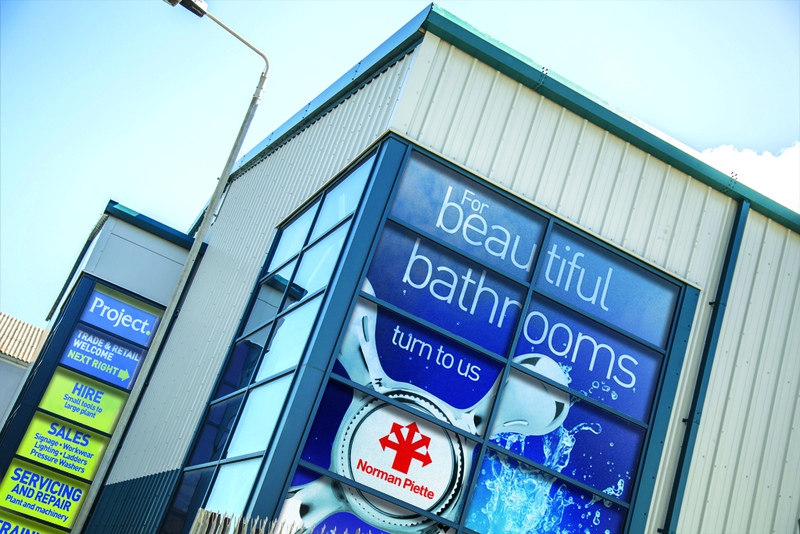 We designed and fitted new graphics to highlight that Norman Piette provide beautiful bathrooms to both the trade and public and also to showcase the full range of hire and sales products and services available from Project Hire. The eye-catching graphics form part of ongoing, co-ordinated marketing to help bring footfall to the site and also add colour and interest to this industrial area.